VR Stream allows to play any PC or Oculus games in virtual reality mode through the smartphone, Cardboard-like headset and local WiFi. The main idea of VR Stream is that users don`t have to buy expensive VR hardware devices such as Oculus or HTC Vive but still get the high quality VR content and an absolutely new experience inaccessible before. 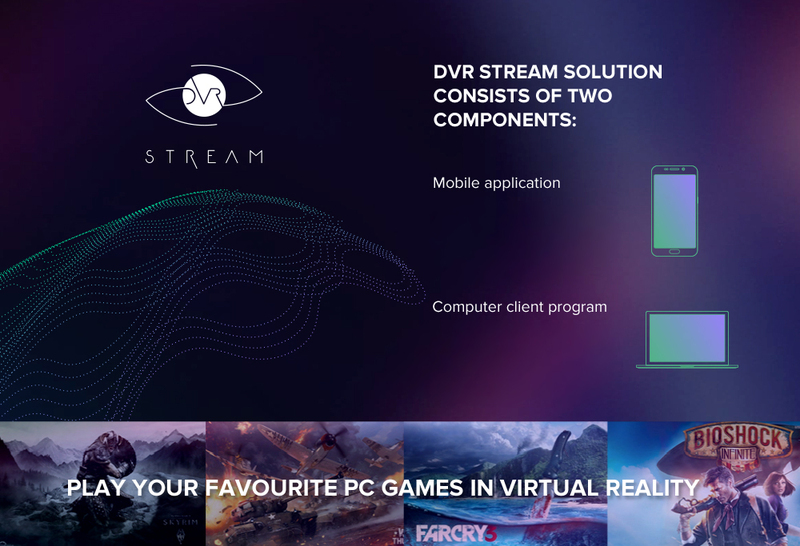 VR Stream is a technology that transmits video stream from PC into a mobile device over local WiFi, and transforms it into a virtual reality mode. You can play practically any PC content on a mobile device using the computing power of PC and feel comfortable in VR. In order to dive into a virtual reality world of high quality computer games all you need is a mobile VR headset, such as Google Cardboard, or any other headset for smartphones. You also need to use your own smartphone.